There’s something rewarding about learning a new skill or completing a new project, and while it’s fun to gather up the knowledge & materials yourself and wing it (I do this plenty of times), it’s also great doing it with others face to face. 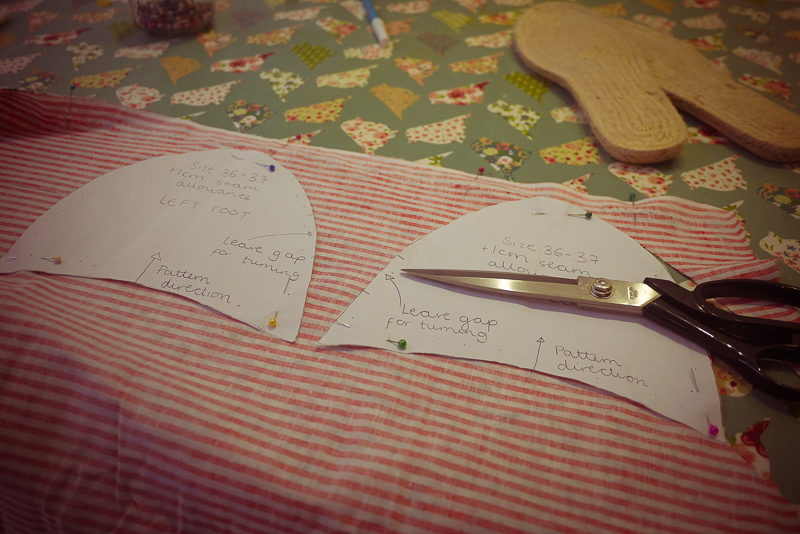 Until I started sewing classes earlier this year… I rarely did face to face classes or workshops. 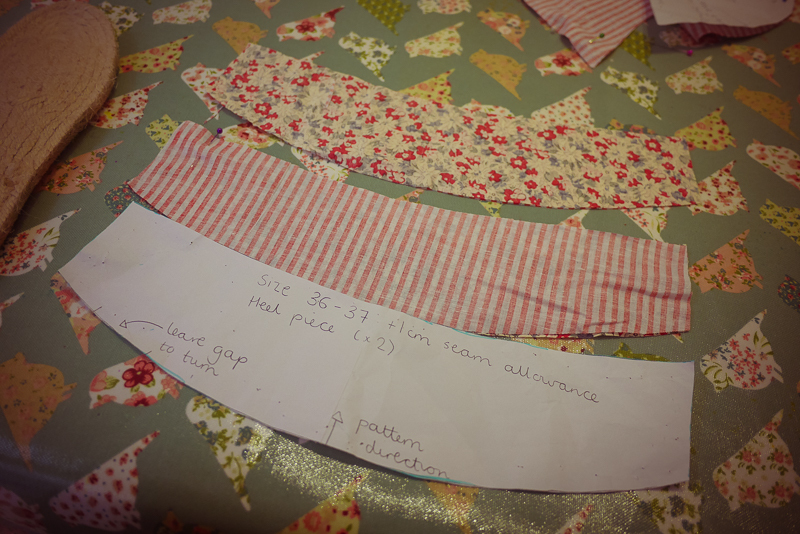 I'd spent years problem solving sewing myself with my vintage patterns, and in sewing the biggest mystery for me was solved when I realised clothing was sewing right sides together! Or inside out! DUR. 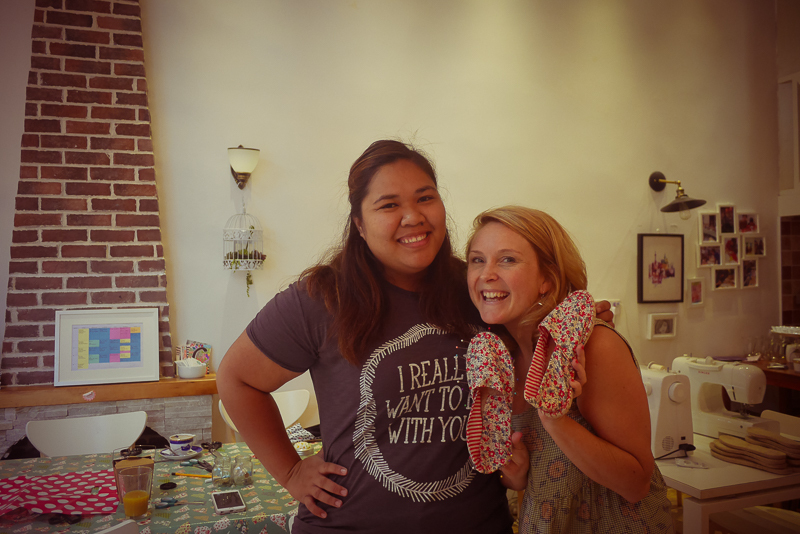 So here's Mae from Craft'd Shanghai and I grinning about making shoes! 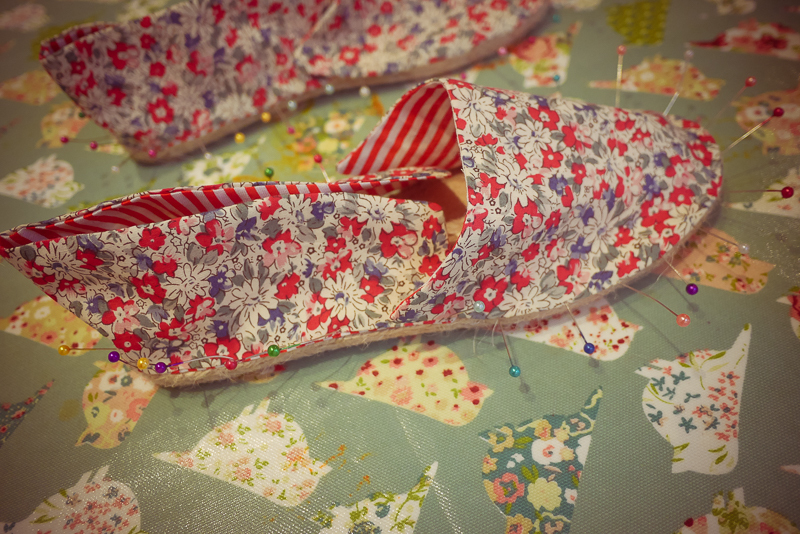 Making espadrilles was something I’d wanted to do, to solve the shoe making mystery… I guess! Plus, the classes were with Craft’d Shanghai and I wanted to hear about another group here in Shanghai helping people be creative. And so, here’s another of my ‘Made in China’ series for you today… where I look at the offbeat & creative side of life in China. Handmaking outside of production line with photos from throughout my class! So while I took the class with Mae (who came to Shanghai from the Philippines), she works closely with Natalie (a UK export)… who I hope to meet soon… but for now, here’s my questions with them! 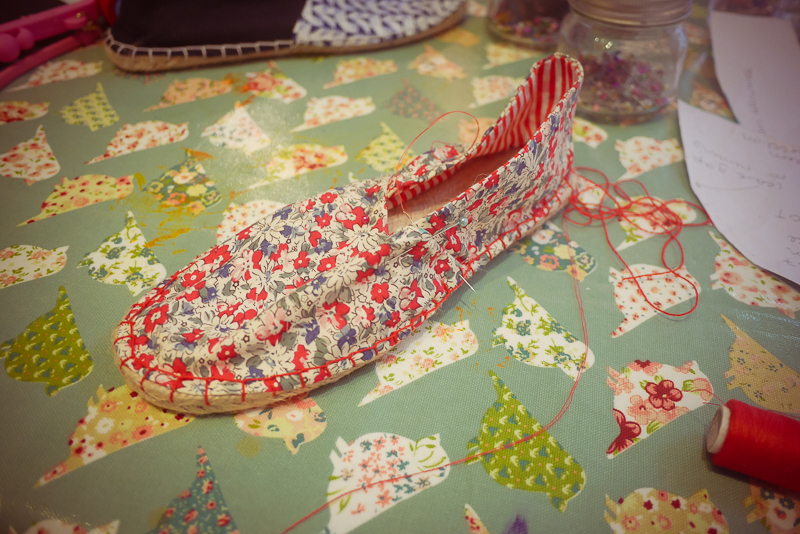 Natalie: I had been running crafty events through Meetup for a few months and Mae came along to a decoupage event at Chirps and Mews in Jingan. Mae apparently can’t remember me being at that event, but she came back to every Meetup after that so we got to know each other pretty well! How did you come around creating the workshops? Mae: The Meetups were originally started in January 2014 as a way of meeting creative people outside of work and to make time for learning new skills and crafts. Craft’d came about as a business when these events started becoming more popular and we were asked to run creative activities for different events in Shanghai. All of our Meetups were held in very understanding restaurants (we got odd looks when we brought out craft knives, crochet hooks and even saws sometimes! 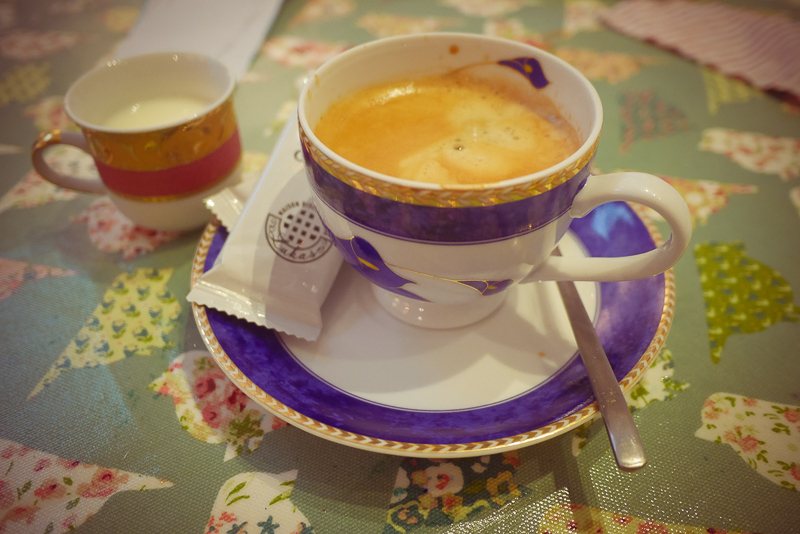 ), but we were limited in the type of event we could offer - hence the opening of the Craft’d Studio! This means we can now use the sewing machines, make candles, paint and so much more! Have you guys always been creative? Mae: Yes. I grew up with my aunt preparing so many crafty things to do after school and on weekends so being creative was encouraged at home since I was really young. 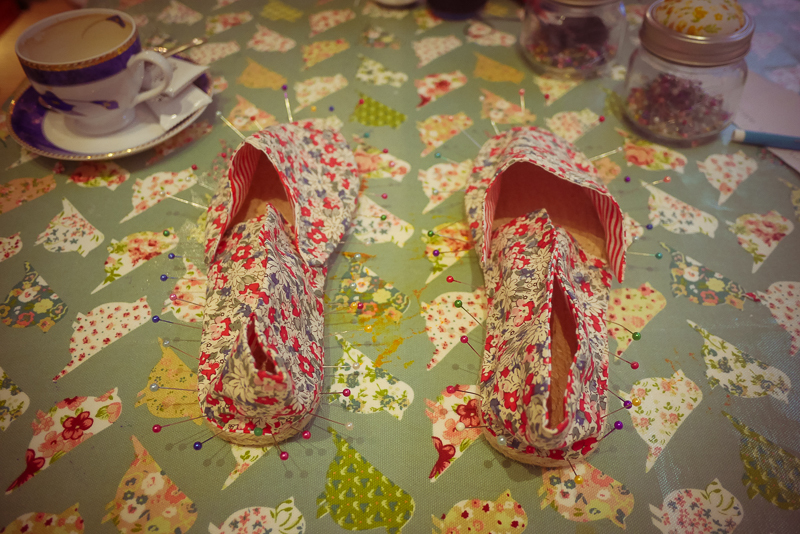 Natalie: I’ve always loved making things, especially with fabrics, and my mum is a seamstress so I learn a lot from her. But I think it all really took off since discovering Pinterest!! How easy was it to set up a workshop here in town? Natalie: I think for us we were lucky to have the Meetup community already built up, as we knew that group of people would be interested in the activities we offered. Plus, nowhere else really offered creative workshops outside of painting and art (which is not at all my strength! ), so we got a lot of interest from magazines and events. What was in the lanehouse before you held workshops there? Natalie: It was an apartment, but the space seemed perfect for what we wanted, plus the kitchen has been especially helpful! What are your day jobs in Shanghai? Mae: We are both kindergarten teachers, I work full time and Natalie works in the morning. Mae told me there are so many charities and community events your guys are into, can you share some links or point me where I can find out more? Mae: We have tried to work with charities as much as possible. 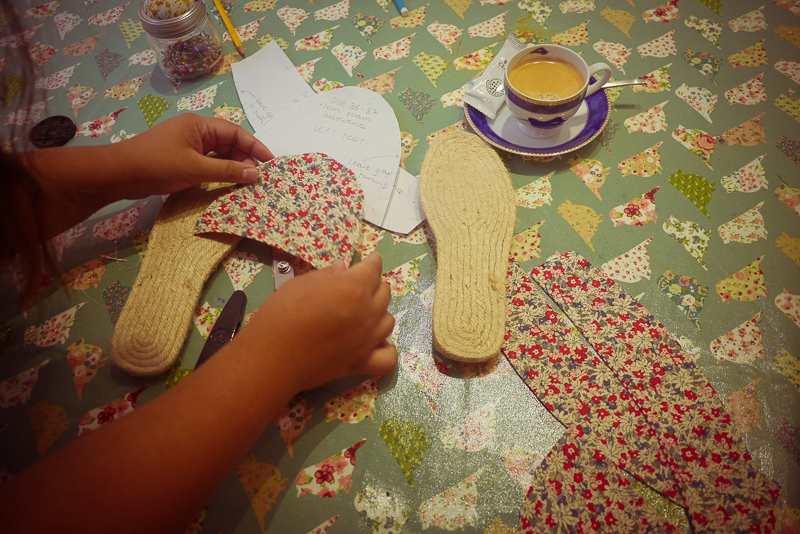 We ran arts and crafts classes for a migrant school via Stepping Stones last year, which we hope to start again soon. We are also working with the Shanghai based charity The Giving Tree - for every class booked and every kit we sell, we donate a ‘teachers kit’ to be added into their teacher bags, containing things that we as teachers have always found helpful in our own classes (praise stickers, chalk, pens and so on). 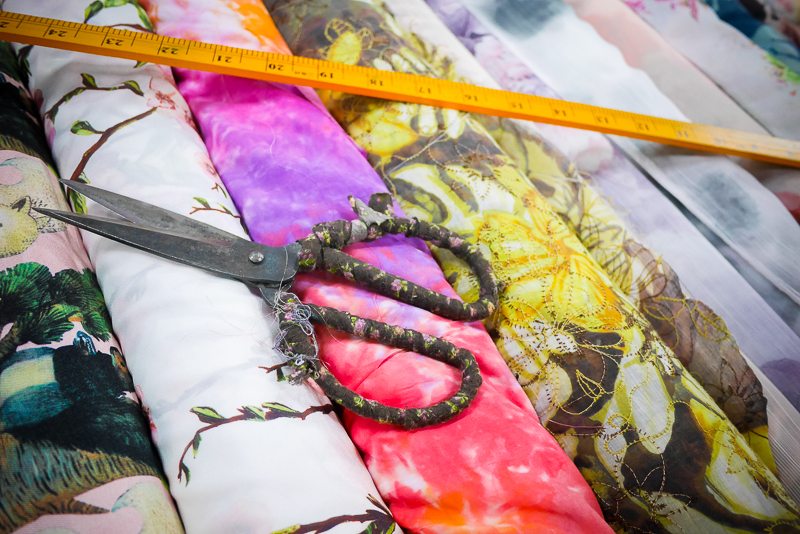 We also run a monthly class making pillowcase dresses for the charity Dress a Girl Around the World, which has the mission of giving every girl in the world their own dress. Natalie: I love the paper cuttings that are popular here. I would love to find someone here who could teach us how to do that. Also xiaolongbao, am I allowed to mention that?! I looooove them! Mae: I thought it was very bright, very modern and fast-paced. I lived in an island most of my life so it was all very different and very new to me. Natalie: I love that Shanghai has so much potential. 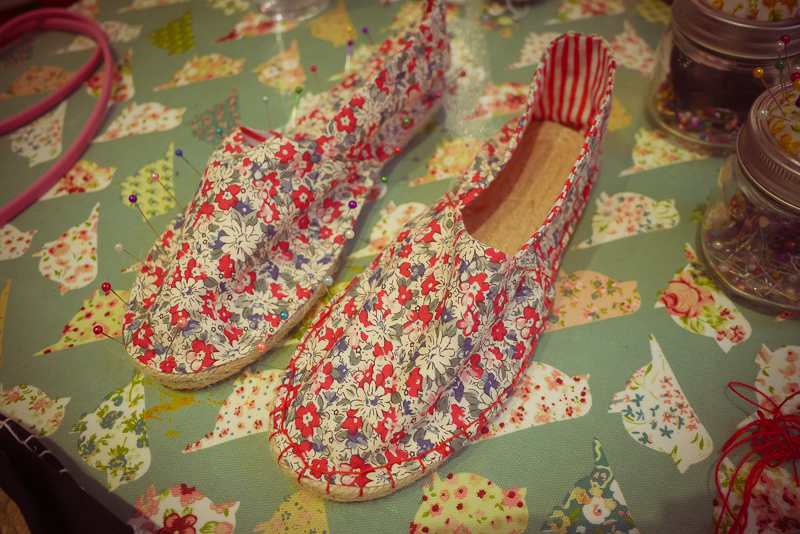 Craft’d is really a dream come true that would take a huge amount of time and investment to start up in the UK. The expat community is also very supportive which makes a big difference. It really is a city that gets under your skin - we are in the majority of those who planned on ‘only staying 2 years’! Thank you Mae & Natalie! I agree, Shanghai has so much potential for everyone and thanks for sharing a little about Craft’d Shanghai with us! There are lots of workshops for adults and children… and as Mae & Natalie have backgrounds in schools, they’ve got a great understanding what children want to make! You can visit their website, or look at their wechat (craftd_sh) or Instagram! Also, FYI the xiaolongbao Natalie mentions are Shanghai's famous dumplings... and are actually handcrafted little pieces of perfection! So yum!